Big House 2016 Prohibition Red Blend - Red Wine. So dark, so delicious, so dangerous-Big House Prohibition Red showcases notes of blackberries and raspberries, with hints of leather and spices. The palate is clean, exhibiting flavors of cranberries, roses and a touch of rhubarb. This finish lingers, leaving you with flavors of vanilla and dark cherries. 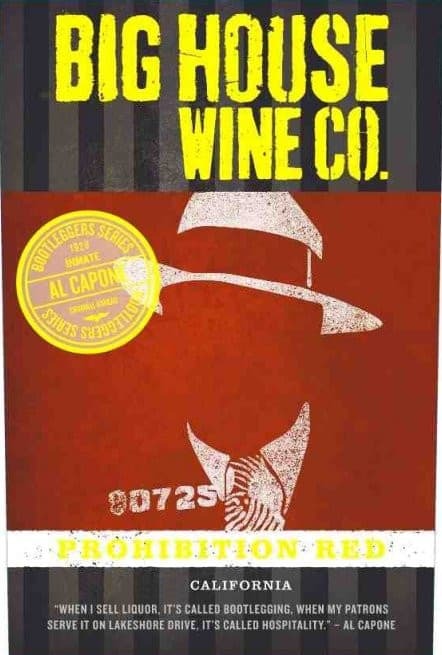 Prohibition Red walks the line between soft and smooth and powerful and vicious; it’s as infamous as Al Capone himself.